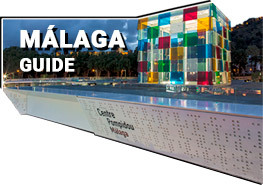 Welcome to MalagaTaxi.co.uk, here you can find Malaga airport transfers to any place in southern Spain. We have been operating for over 25 years in Spain and in the UK. Our base at Malaga airport is run by British and Spanish staff, who all speak perfect English to make your booking and journey as comfortable as possible. We always pick up our clients inside the terminal 3 at Malaga airport, to avoid queues and delays. We will be waiting with your name on a card so that you can find us easily. On return, we will leave you at the Malaga airport departures terminal, so you can avoid dragging your luggage around the airport. Our cheap prices are ultra-competitive and our cars are brand new executive vehicles and cleaned thoroughly before every journey. 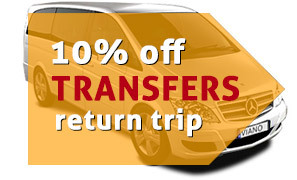 For July and August, take advantage of our generous 10% discount on round trip transfers except for Luxury cars. You can enjoy in Malaga dozens of different ways on holidays with a private transfer: beach days, nightlife, playing golf, seeing sights, discovering its culture. "Hi, just wanted to thank you for the transfer. I was afraid at first to get lost as it was my first time at Malaga…"
"Dear Malaga Taxi, I used your services on November 13th and 15th, Very impressed as usual, I visit Malaga regularly and will now use you…"
"Just to let you know our taxi booking worked well this morning from La Cala, we are now back in the UK. Very professional service.…"
"Just a quick note to say thank you for your excellent service, the driver collecting us was very courteous and patient with our luggage taking…"